Our mystery seeds last week were from a plant that probably not many people grow. 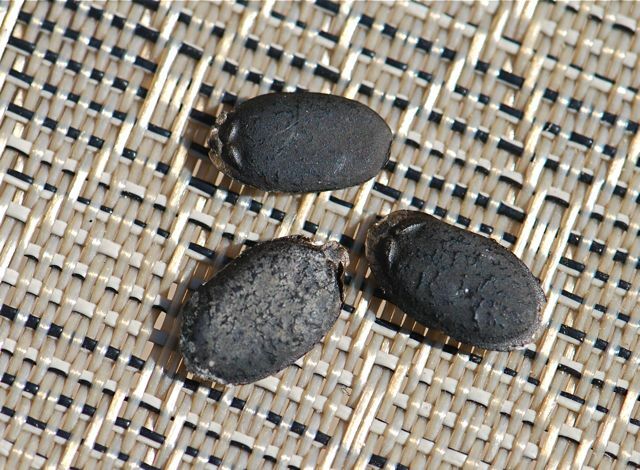 These black seeds are from luffa sponges, genus Luffa. The plants belong to the same family as squashes and cucumbers. 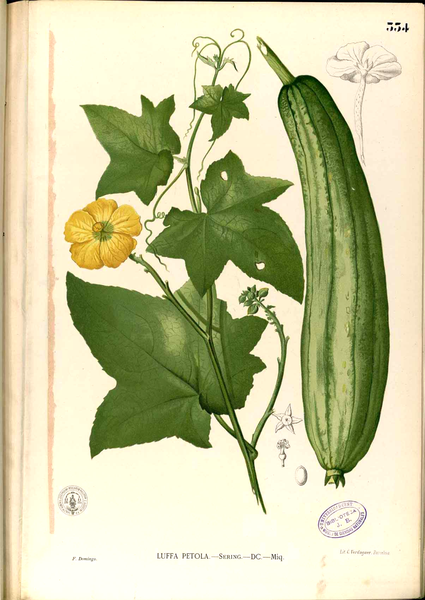 The have large yellow flowers, a vining growth habit, and fruit that roughly resembles a zucchini or cucumber. A botanical drawing by Francisco Manuel Blanco from Wikimedia. The young fruit may be eaten. For example, in Asia the young luffas are used in stir-fries (peeling off the bitter skin is recommended). The seeds were on the ground near a bin. I don't think anyone would want to eat these, but they were for sale. Why? 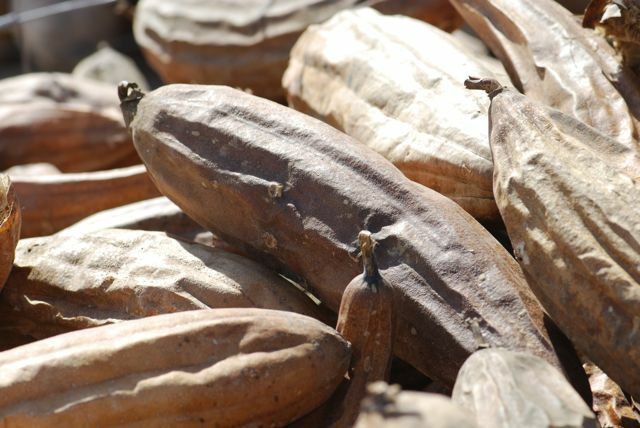 If you peel off the brown outsides, you will discover why. 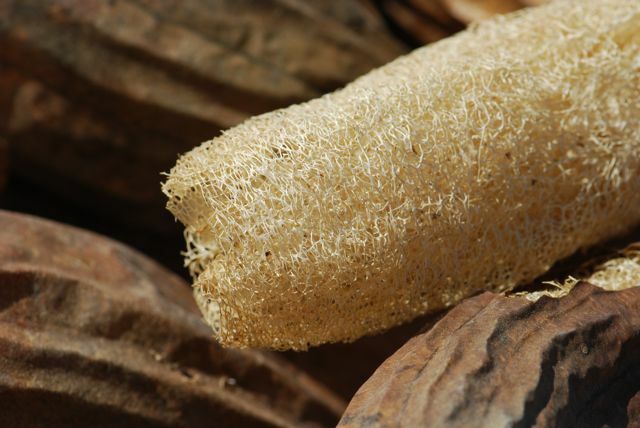 There's a beautiful luffa sponge inside. We bought some seeds of two different kinds, so hopefully I'll be able to show you more about growing luffas next fall. 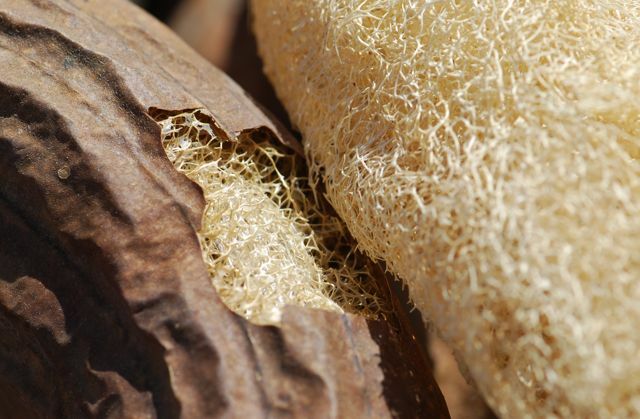 Have you even grown or used luffa sponges?